Quick Update – Come See Me! I just wanted to let you all know I’ve got posts coming, really I do (about 1800 words on one post, plus some book reviews and another post in the draft stage). However, I’ve also got lots of other things going on, including editing the August episode, which I hope you’ll enjoy, and getting started with the Ph.D. program. Laine is also very busy baking another human being in her proverbial oven, so please forgive her if she’s not around for a bit (she still gets emails and appreciates them greatly!). I also wanted to let you all know about some upcoming events where you’ll be able to vent your frustrations with my slow blogging directly to me, in person! I’ll be at two upcoming events in late August/early September for those who want to come see me. First, I’ll have a booth at the Philadelphia Pagan Pride Day on August 30th (see website for location and details). This event is going to be lovely, with classes on Manx folklore, playing card reading (no, not me teaching, though I’d love to attend), children’s activities, and lots more. 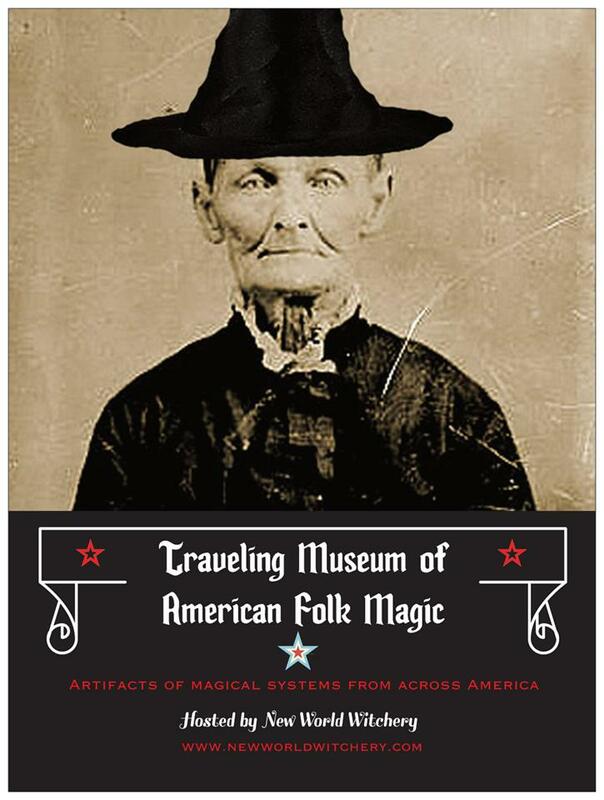 My booth will (hopefully) have a small traveling museum of North American magical artifacts I’ve pieced together, and I’d love to chat with anyone about folk magic or other such things. Plus, I’ll be trying to collect some area folklore as well, so if you stop by please take a moment to speak into the mic (though you are not obligated to do so, of course). This year’s PPPD is benefiting the Mazzoni Center Food Bank, Forgotten Cats, Books Through Bars, and In-Reach Heathen Prison Services, so please bring donations for any of those fine organizations. Next, I’m tentatively planning to be at the upcoming Pagan Podkin Super Moot #5 in Chicago! Fire Lyte, who is hosting the PPSM event this year, has generously offered to share his booth at the Chicago Pagan Pride Day on Sunday, September 14th, in Oak Park, Illinois, and I may try to bring that traveling museum along with me for that trip, too. I’m still waiting for a few pieces to fall into place for this even to be a go for me, but right now it looks very likely that I’ll be attending. Other podkin attending include Fire Lyte, Velma Nightshade, Peter Paddon, Dr. Hob & Dean from Lamplighter Blues, Faelyn from the Kindle Witch. A few other folks are tentative as well, so this is a good chance to meet folks if you live anywhere near Chicago. So, that’s our current situation. If I get invitations for other events or chances to come out and meet fans and friends of the show, I’ll definitely keep you posted! For now, please stop by if you’re near either of those events, and I’ll look forward to seeing you soon! Comments: Comments Off on Quick Update – Come See Me!